Six of these albums will make their debut on vinyl as part of Squeeze Box. Each has been newly remastered by Grammy Award-winning engineer Mark Wilder and personally approved by Yankovic. An Al-curated 15th bonus disc, Medium Rarities, features specially selected non-album tracks from across his remarkable career. 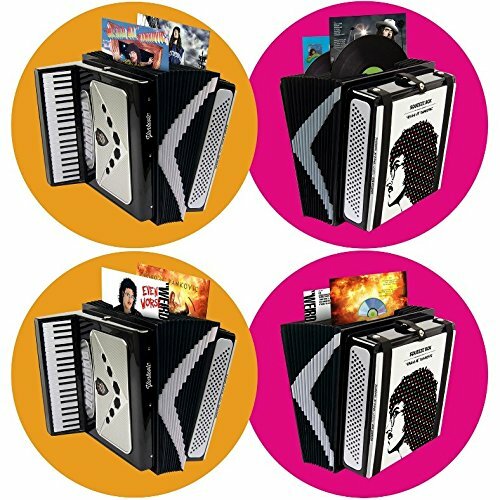 Squeeze Box comes in a unique package worthy of Weird Al's inimitable style: an amazing replica of his signature accordion, with each album stored in its bellows. An accompanying 100-page book will feature a trove of rare and unseen photos and memorabilia.